Welcome to The Third Internet – both this website (which is available over IPv6), and the Third Internet itself! On this site you can find a wealth of information about the most exciting thing happening in IT today. There is a major technology revolution that you might not even be aware of yet! The global Internet is undergoing a major generational change. We are transitioning from an Internet based on IPv4 (the second Internet) to one based on IPv6 (the third Internet). Most of you reading this may have heard of the first Internet (ARPANET) which ran from 1969 to 1982, but few people ever had access to that one (I never did). The third Internet will likely be around for at least 40 years, so this changeover is a once-in-a-lifetime event for most of you. Exciting times! If all you ever use is Facebook, you might not even notice the changeover at first. But soon there will be revolutionary new ways to communicate, like End2End Direct (direct from my device to yours, with no intermediary servers). Every device in the world can have a public address, and can both initiate outgoing connections and accept incoming connections (want an FTP server, or a VoIP User Agent on your phone?) Your cell phone can make outgoing calls and accept incoming ones. Your VoIP softphone should be able to to the same, without having to route the connection through an intermediary server. Speaking of your phone, it will be running on 5G, which is the Grand Convergence of the (third) Internet and telephony. Your entertainment will be coming in over your ISP connection (over IPv6), rather than from a cable company. Instead of maybe 300 channels, there will soon be millions of channels, from all over the world. The cost of putting up a global audio or video network is about to become affordable to almost anyone with a computer. This is not a minor evolution, like the web was, this is full scale REVOLUTION. 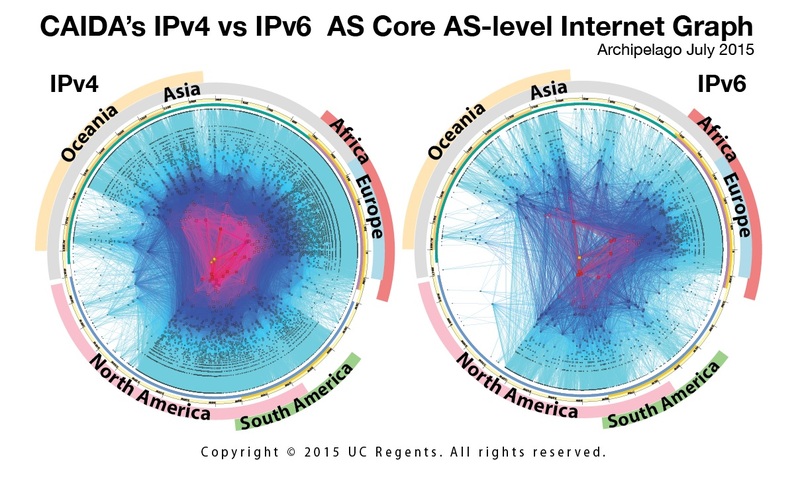 This image (from www.caida.org) is a representation of the AS level networks and connectivity of both the second and third Internets as of 2015. Today, some 25% to 40% of Internet traffic is over IPv6 in most countries (even higher from mobile nodes). Likely sometime in 2018 we will reach the tipping point, where over 50% of the global Internet traffic will be over IPv6. From then on, IPv4 will rapidly vanish, just like Netware’s IPX/SPX did some time ago. My name is Lawrence E. Hughes. I have over a decade of experience with IPv6, and am helping create the Third Internet (along with many, many other people, all over the world). 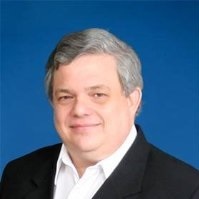 I have over 40 years experience in IT, including 2 years creating and delivering training in crypto and PKI at VeriSign, as well as 4 prior ventures (one of which sold for US$273M in 2006). I am currently CEO and co-founder of Sixscape Communications Pte Ltd, based in Singapore. I will be your guide to this incredible new online world. Sixscape is “the Netscape for the IPv6 Internet”. Our namesake, Netscape Communications created some foundation products for the second Internet, such as the first viable web browser and server, an LDAP server and an important new protocol (SSL). Sixscape is creating some radically new products and protocols needed to build the third Internet. Among other things, our Identity Registration Protocol (IRP) revolutionizes PKI and allows nodes to securely register their IPv6 address in DNS. SSL was originally a proprietary protocol owned and controlled by Netscape. IRP is currently a proprietary protocol owned and controlled by Sixscape. We plan to release IRP to the IETF in the same way that Netscape released SSL (now known as TLS).